The excursion includes licensed Guides and deluxe motor coaches. 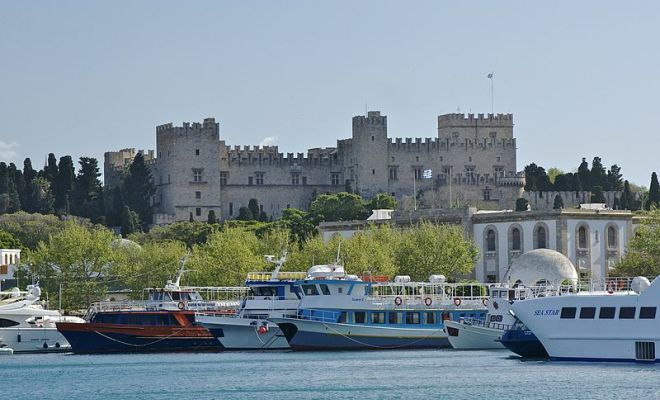 The route is along the green and fertile West Coast and includes some of the most magnificent scenery of Rhodes. After a visit to the church dedicated to the Virgin Mary in Kremasti, the drive continues to the picturesque little harbor at Kamiros Scala, with fish taverns. 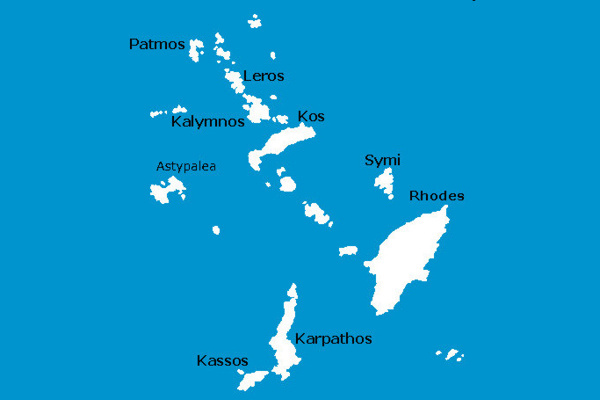 The small port was built by the Minoans of Crete. In this area there are also greenhouses and many vineyards. 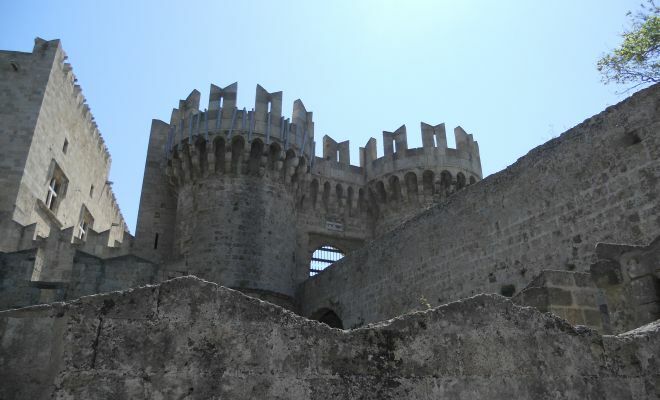 After a short stop here for coffee or refreshments, the drive continues to the Venetian Castle of Kritinia dating back to the 16th century AD. The Castle stands on a steep rock and dominates the whole area. Further to the south we come to the small, amphitheatrically-built mountain village of Kritinia, with a fantastic view towards the sea. From this vantage point the nearby Islands of Chalki, Alimia, Strongili and Makri can be seen. The next stop is at the traditional mountain village of Embona, perched on the flanks of the Atavyros Mountain. It has beautiful characteristic houses, in the genuine local architectural style, richly decorated on the inside. At this village we will visit the local wine factory to taste some of the best wines and other spirits, available on Rhodes. The village of Embona is well known for having the best fresh meat on the Island and many taverns around the village square offers excellent lunches consisting of grilled meat, Greek appetizers and local wines. After lunch, the drive continues to Profitis Ilias, named after the monastery, which stands on the hill, on a level piece of ground, at an altitude of 650 meters, amid lush vegetation. From this spot, the view of the surrounding wooded mountainsides is superb. Continuing a few kilometers down the road, we arrive in Fountoukli, where the interesting small church of St. Nicholas with its four apses is located. This church has beautiful wall paintings of the 14th or 15th Century AD. Outside the church precinct there is a spring from which cool water flows. The final visit is to Lindos, the ‘Jewel of the Island’ with the most attractive village on Rhodes, the guests will enjoy a guided visit of the Acropolis, which includes the Great Stoa, the Temple of Athena Lindia of the 4th century BC, the ancient theatre and the few remains of the temple of Dionysus. The view from the rock of the Acropolis, which rises shear 115m above the sea, is unique. The guided visit continues through the picturesque medieval village, built amphitheatrically around the foot of the steep rock leading to the acropolis.